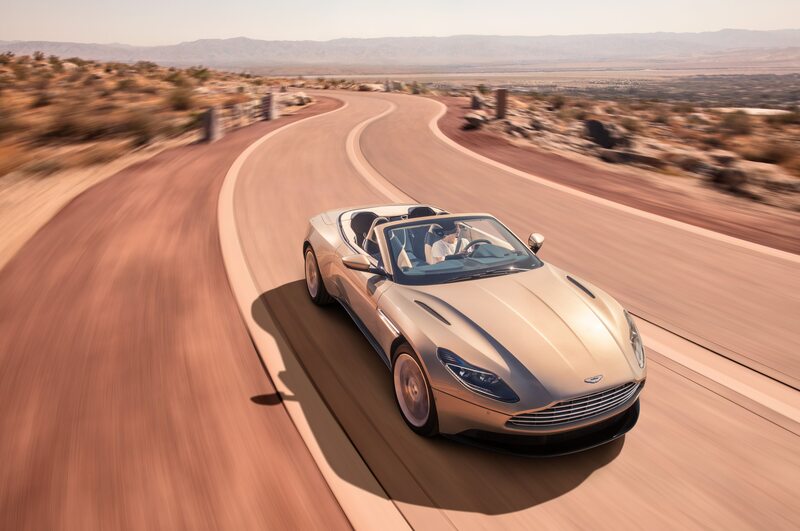 Aston Martin revealed the DB11 Volante, and it’s more than just a DB11 coupe without the roof. 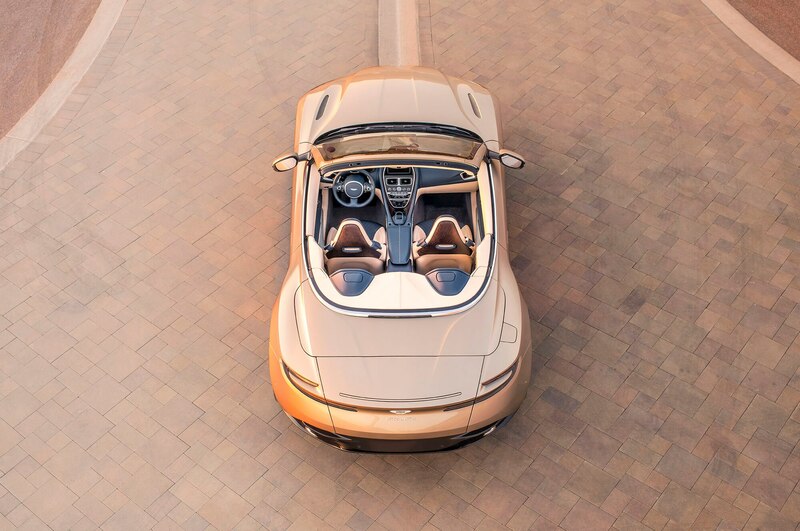 The convertible receives a 4.0-liter twin-turbo V-8 as the only engine option, leaving out the 5.2-liter V-12 that’s offered on the coupe version. 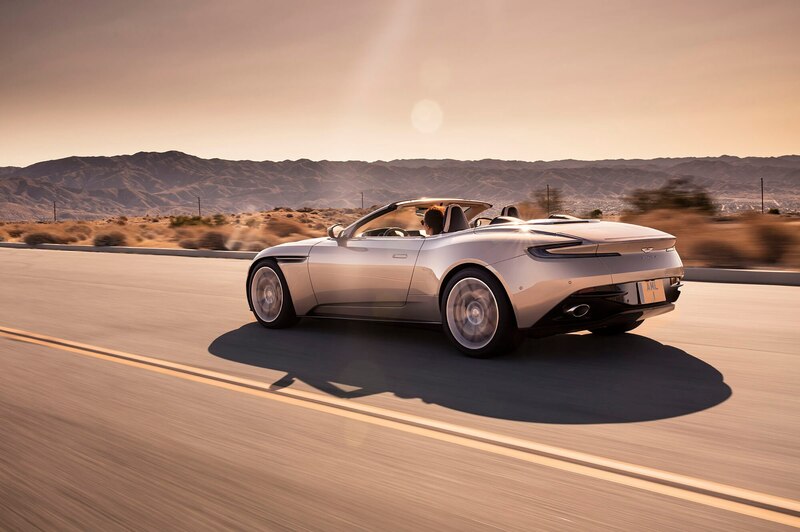 The Aston Martin DB11 Volante makes 503 hp and 513 lb-ft of torque, producing the same hp but more torque than the coupe’s V-8. 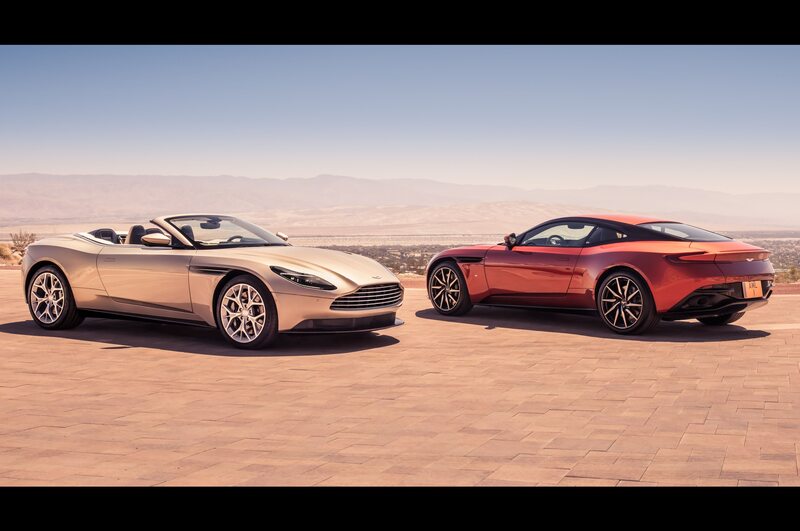 That’s a far cry from the V-12 coupe’s 600 hp and 516 lb-ft of torque, but still nothing to sneeze at. 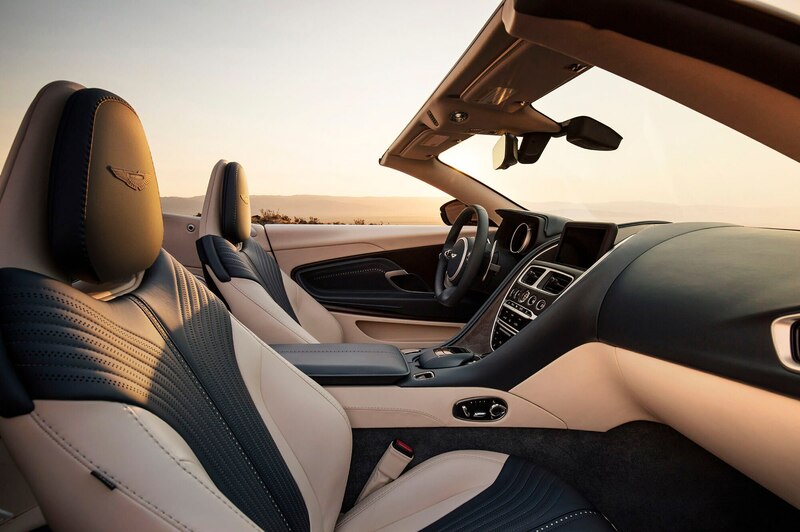 The 4,134-pound convertible comes with a familiar eight-speed automatic transmission as well as electric power steering and limited-slip differential with dynamic torque vectoring. 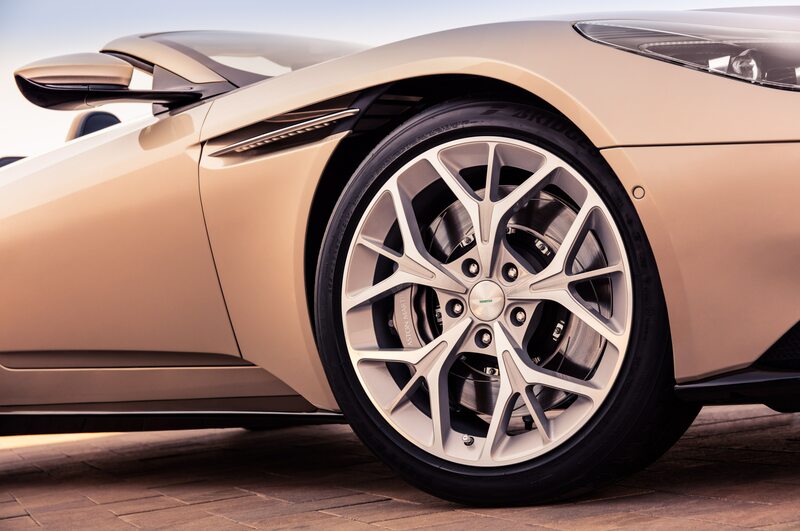 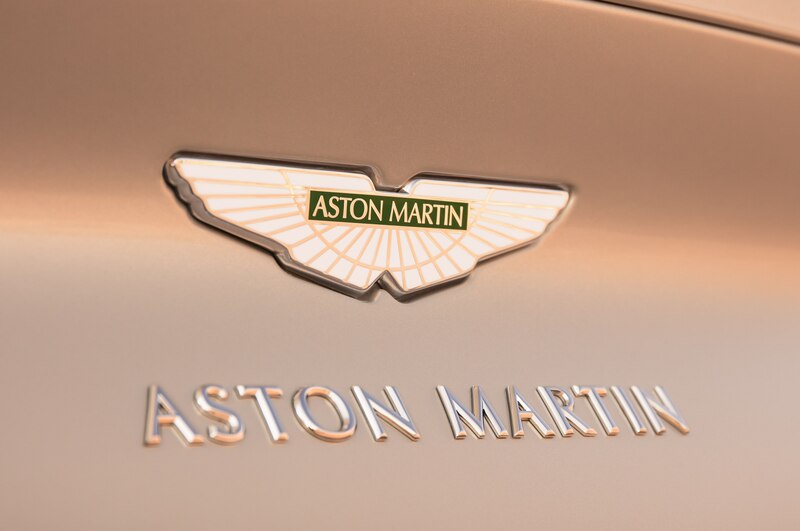 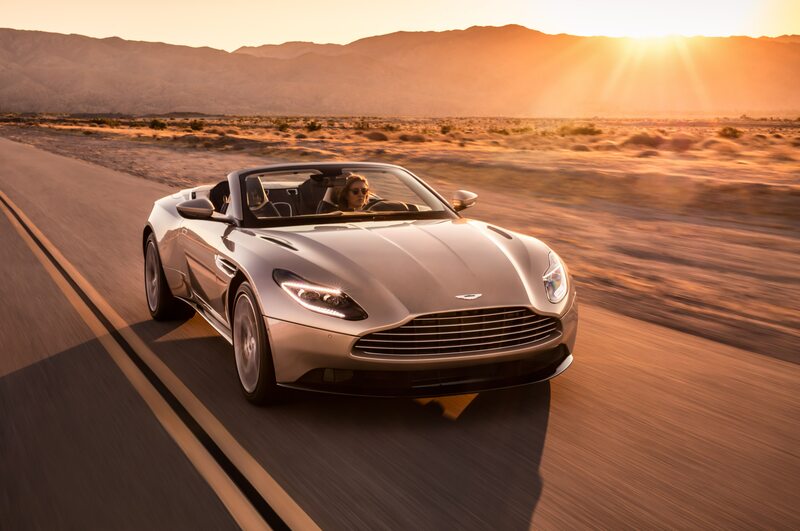 Hitting 60 mph takes 4.1 seconds from a standstill, Aston Martin says. 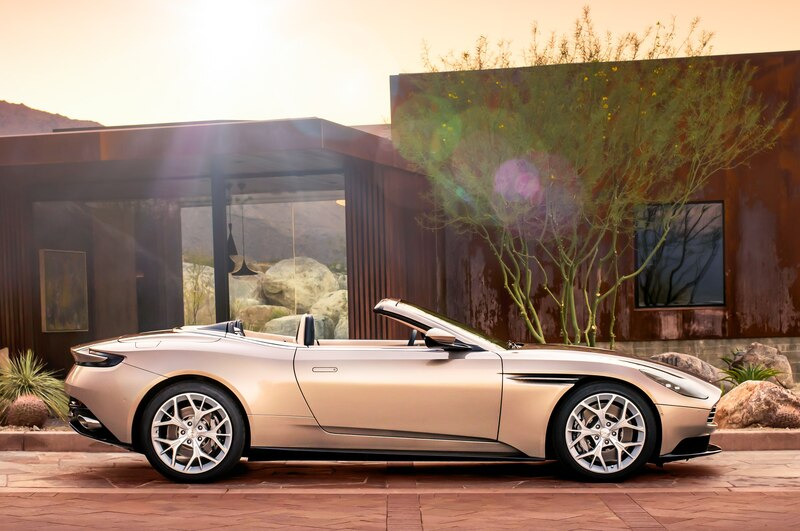 Top speed is 187 mph. 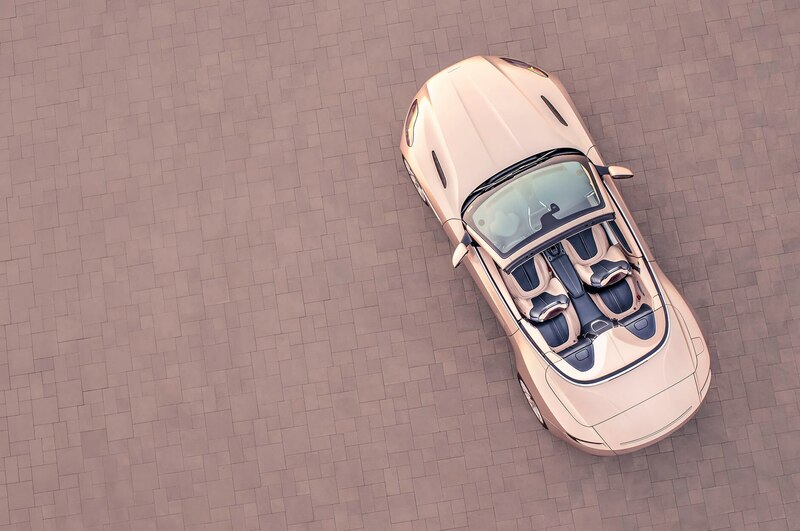 The Volante features an eight-layer fabric roof that pops up in 14 seconds and down again in 16. 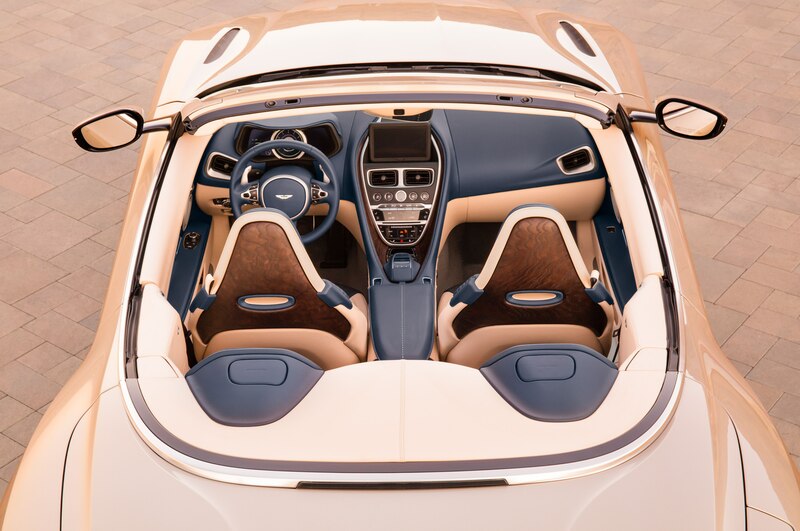 Drivers can operate the top remotely with the key fob or while driving at speeds up to 31 mph. 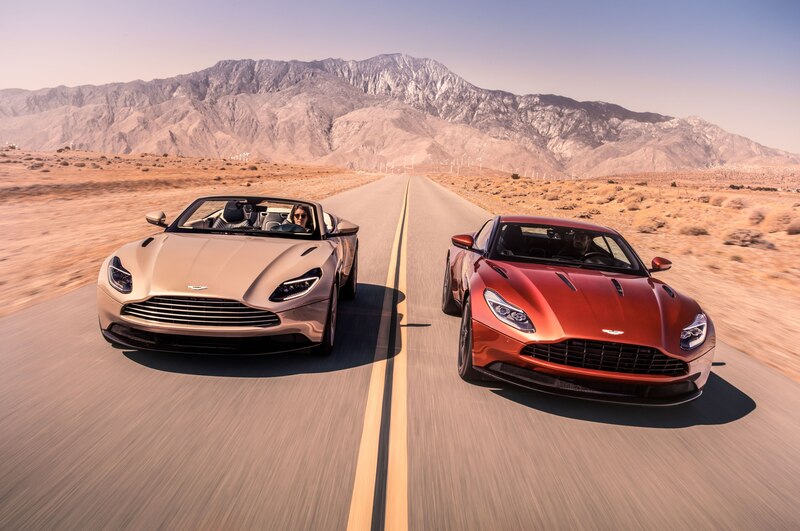 Color choices for the hood include Bordeaux Red, Black Silver, or Gray Silver. 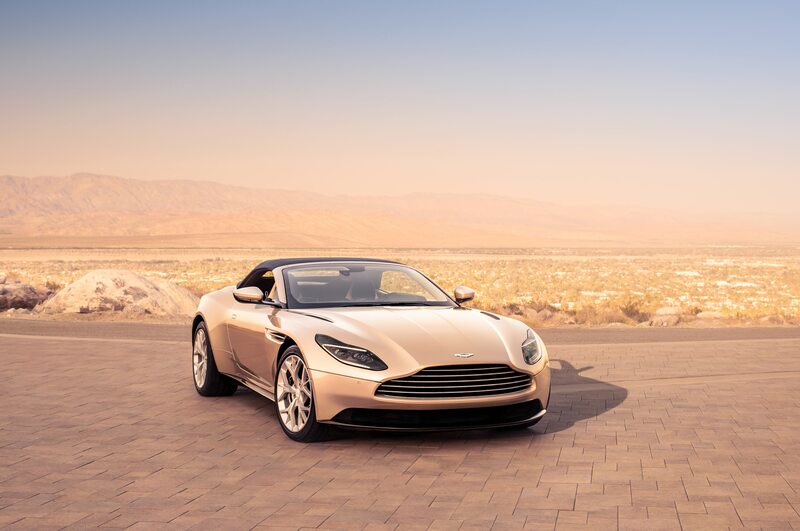 Like its coupe counterpart, the DB11 Volante features a single-piece aluminum hood. 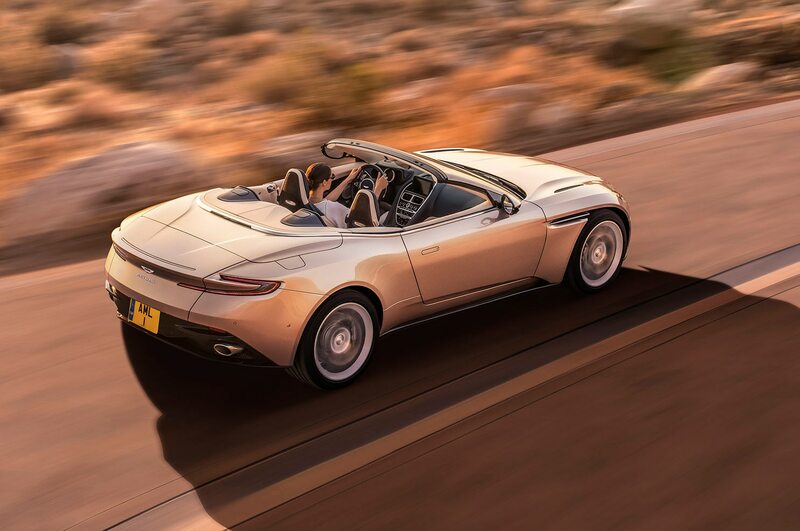 It’s around 57 pounds lighter than its predecessor, the DB9 Volante, and boasts 20 percent more cargo room with the updated hood system. 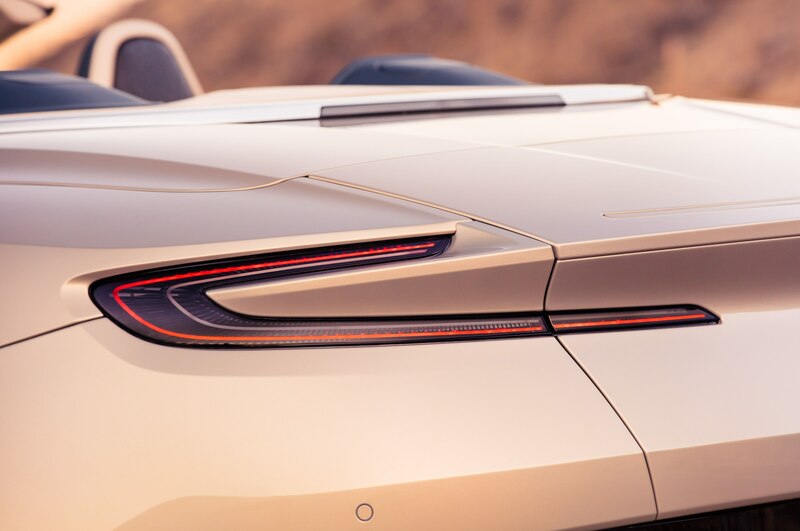 A deployable spoiler improves downforce. 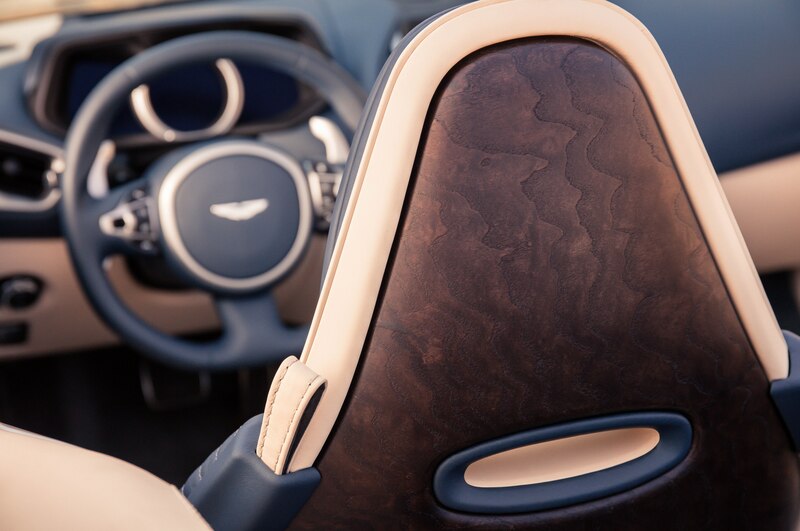 Inside, the Volante features new wood or carbon-fiber veneer panels on the seat backs. 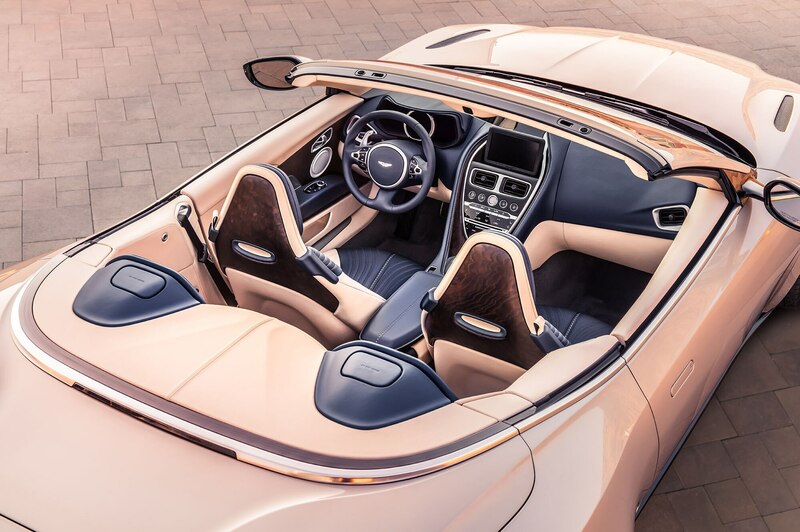 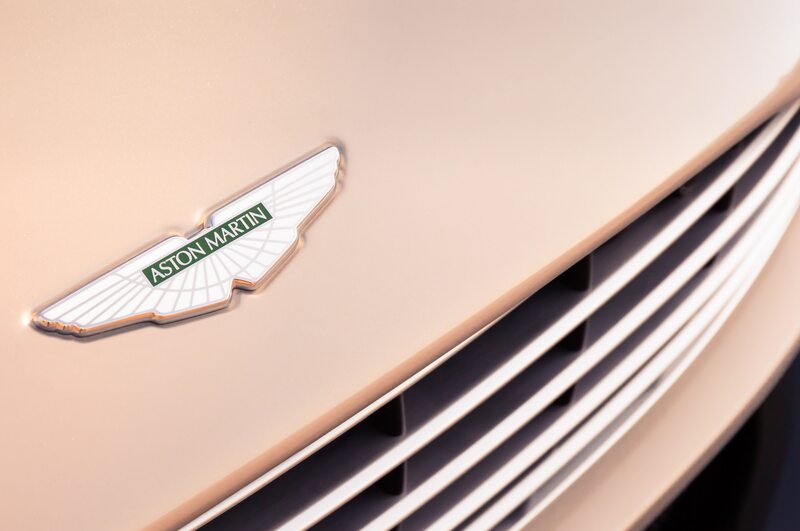 Standard equipment includes heated front seats, an Acantara headliner, 360 degree surround view parking cameras, and navigation, and buyers can splurge for optional DB11 embroidered headrests, personalized sill plates, or a new wind deflector. 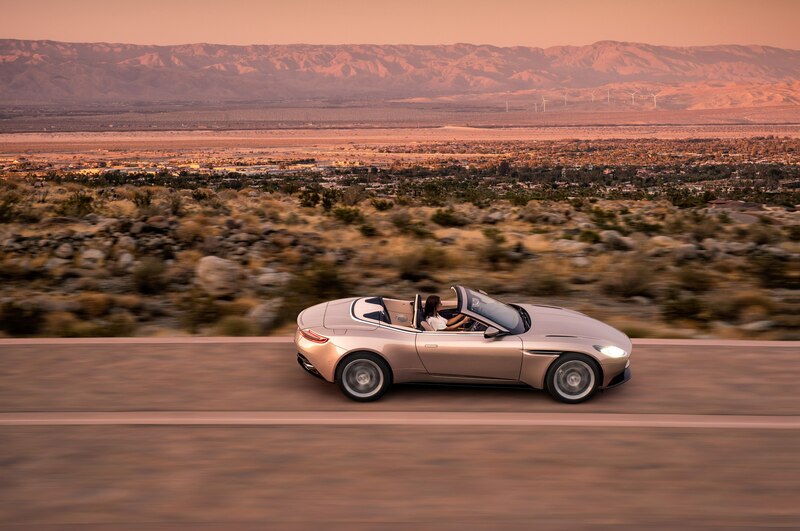 Aston Martin is currently taking orders for the DB11 Volante, which starts at $219,581. 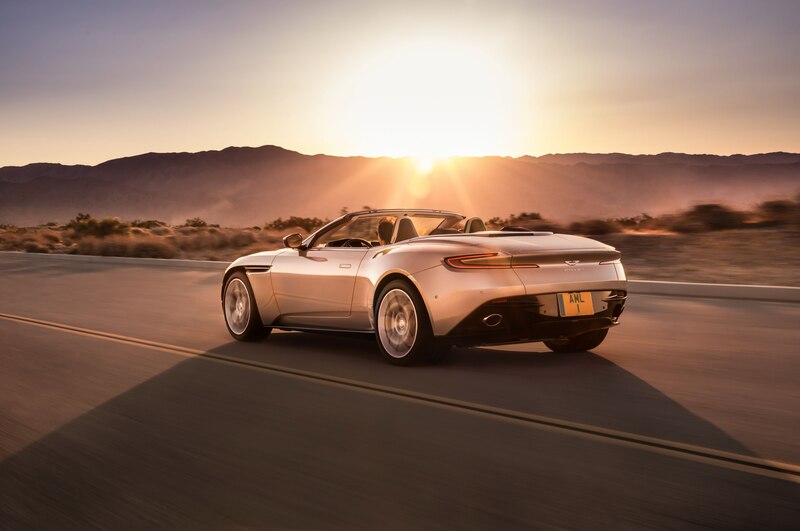 Deliveries begin in the first quarter of 2018.